Novelis Inc. breaks ground on $305 million automotive aluminum facility in Guthrie, Kentucky. 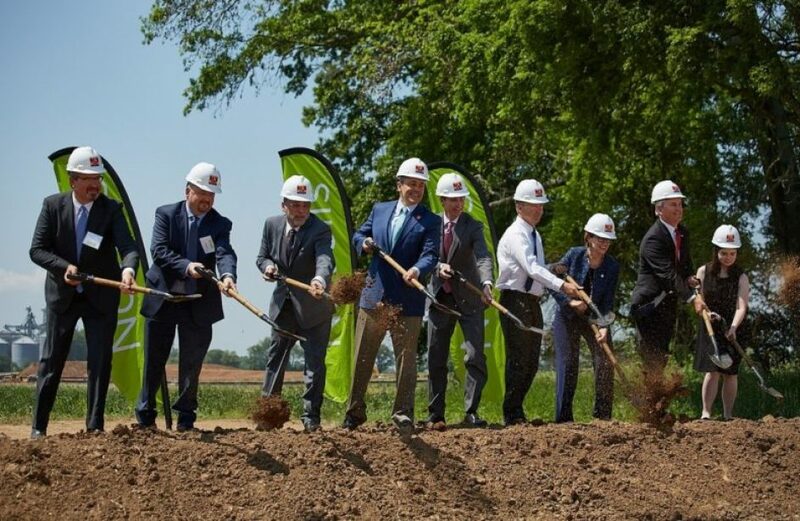 Source: PRNewsfoto/Novelis Inc.
Atlanta’s rolled and recycled aluminium firm Novelis Inc. played host to an august body of dignitaries on Monday as it broke ground on its new US$305 million automotive aluminium sheet manufacturing plant in Guthrie, Kentucky. The 400,000 ft2 will be the site at which Novelis will house around US$60 million in capital investments, including heat treatment and pre-treatment lines. Per the firm, the decision to build the facility was motivated both by a recovered aluminium market and favorable developments to the state and federal tax regimes. Novelis says the new facility will employ 125 individuals when it is completed in 2020 and feature a nameplate capacity of 200 thousand metric tons per annum. This facility will join the firm’s aluminium can recycling plant in Berea and Logan Aluminum, a joint venture between Novelis and Tri-Arrows Aluminum. Steve Fisher, President and CEO, Novelis Inc., greeted the plant’s opening as a positive development for all parties involved. Congressman James Comer (R-KY) pointed to the move as proof positive of the strategic implementation of tax reform to encourage economic growth.